Once only seen occasionally during exotic grooming pageants, it is becoming commonplace to see pets that have been dyed bright and daring colors. Before dyeing a pet, it is important to know the products being used are safe. 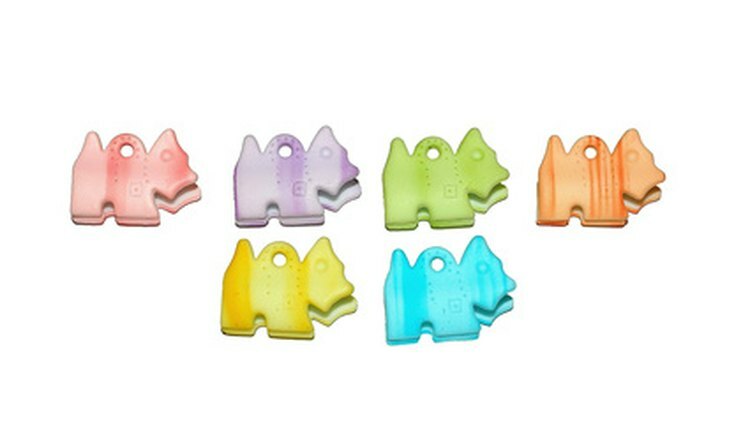 While safe and non-toxic colorings are available, some products have not been certified as safe for animals and should not be used. Human hair coloring, for example, is not safe to use on pets, as a dog or cat will lick itself and ingest the dye. Grooming websites usually will have a supply of semi-permanent, pet-friendly dyes available. Most of these products are non-toxic and will not wash off for several weeks, but it is important to make certain they have been approved for use on pets. Food coloring provides another safe alternative for dyeing a pet. While the effect might not last as long as the semi-permanent coloring, it is safe for most pets. Occasionally, a pet will have an allergy to even the safest of dyes. In the event a pet is acting strangely after being colored, a veterinarian should be consulted. If it is an allergic reaction, an antihistamine usually will be prescribed. Is Newspaper Ink Bad for Hamsters? What Eats California Rosy Boas? How Big Do Guinea Pigs Grow to Be?